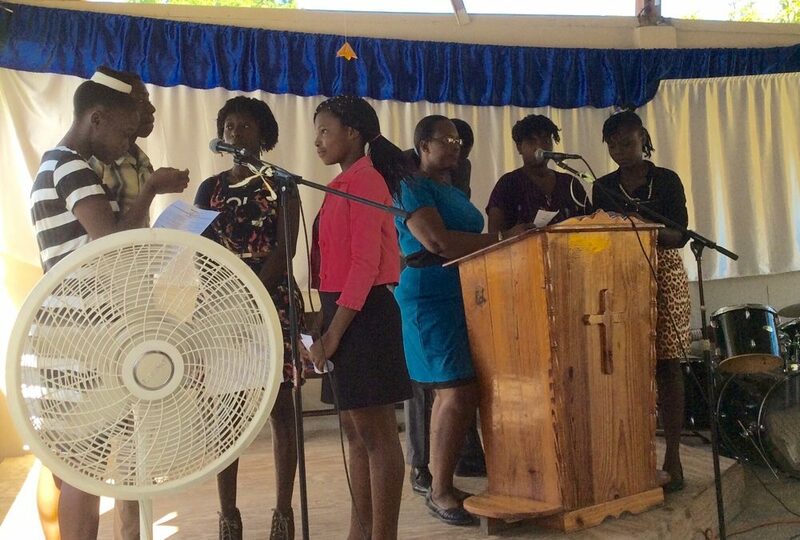 Finally got a chance to blog – between church services, prep work for our course, setting up the classroom, we have been very busy, not to mention the power/internet outages we are experiencing. 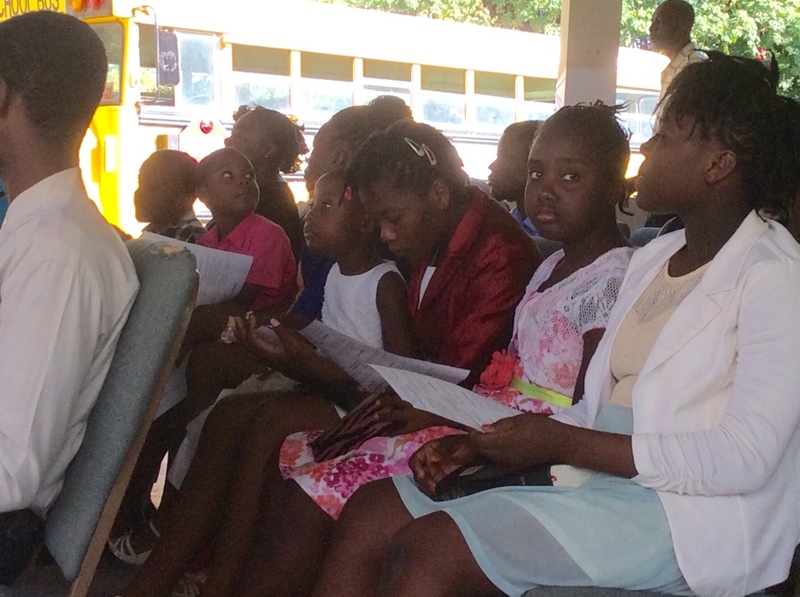 Yesterday, the morning Sunday School and church services started on time and was well attended. 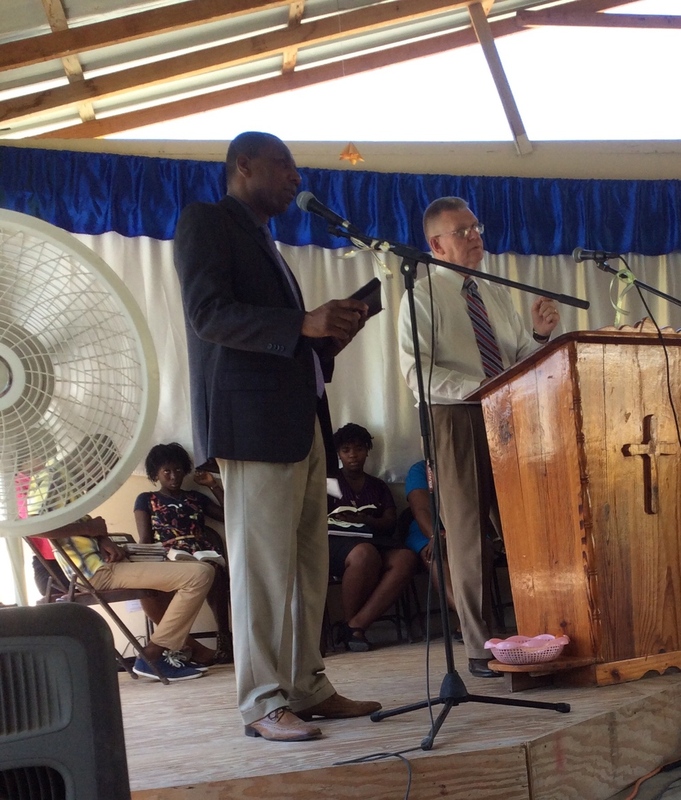 Dale preached and his sermon was translated into French by Esaie. 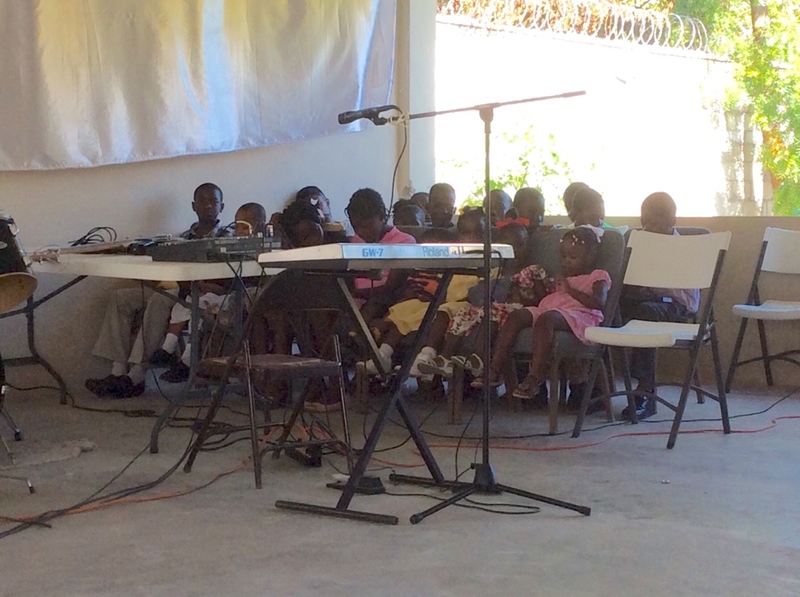 Even though we do not understand the words of what is being sung or read, we recognize the tunes to familiar hymns and can read the scriptures out of our English Bibles. It is so wonderful to be able to worship with our brothers and sisters in Christ – even though we do not share a common language, we share a common love of our Savior! An interesting thing – the children all sit together in the rows behind the musicians, towards the front of the church – and they are there for the entire srevice and seem to be very well-behaved and paying attention. So, this morning had a hectic start with getting copies colated, breakfast a little late and the coffee pot not working. 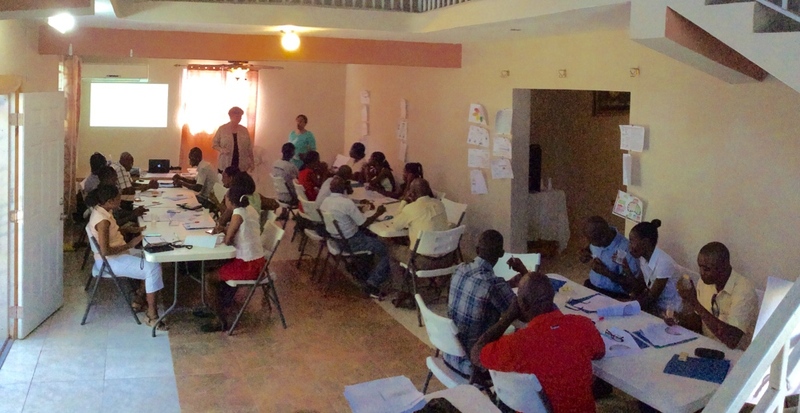 The teachers were ready to start by 8:45 – After an opening song and prayer led by Esaie, Dale gave the intro to his Peacemakers and now Carla is doing a review of what was taught last year. Natacha is translating. Most all the teachers here today (there are 24) were here for our past two years seminars. Don’t worry, we did get coffee!